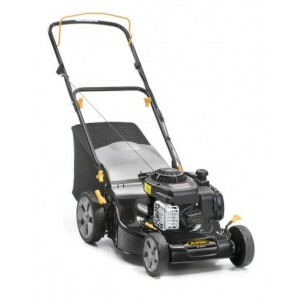 The Alpina BL460B 18" Petrol Lawnmower is powered by a reliable Briggs & Stratton 300 Series Engine and is designed to take the hard work out of maintaining your lawn. Manufactured with a durable steel deck with elevated rear wheels for superior balance and traction even on sloping/rough ground. 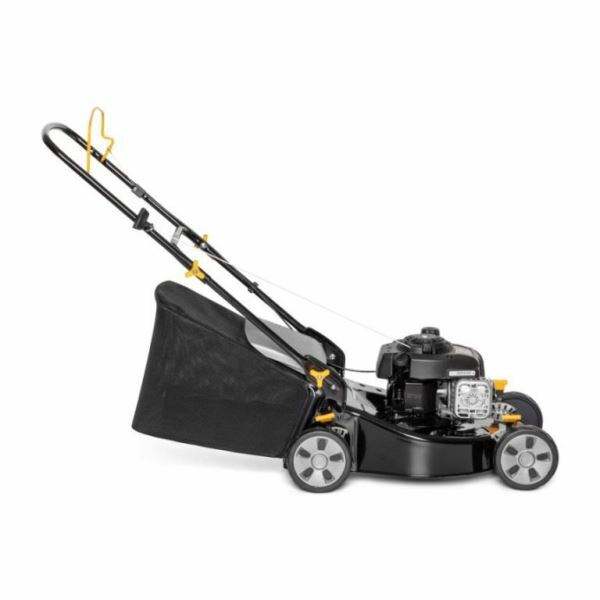 With a large cutting width of 46cm and a choice of 5 cutting heights (27-80mm) you can select the perfect finish for your lawn. 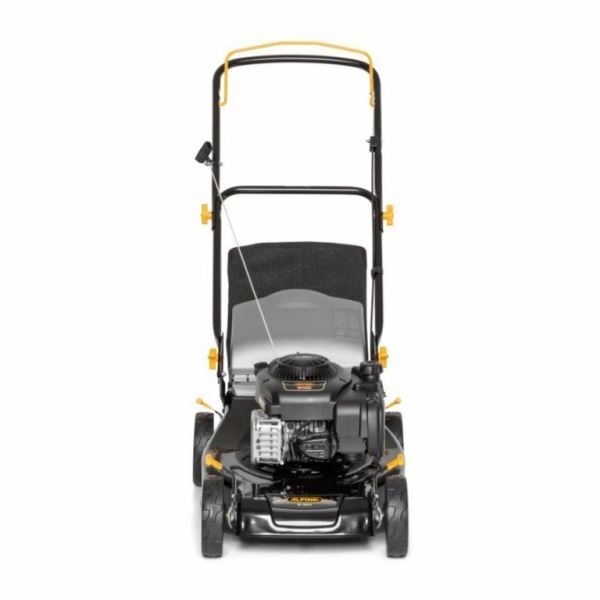 Can function as either a rear discharge or collecting lawnmower and comes complete with a generous 55L collection bag meaning fewer trips to empty!